GH is used as a prescription drug in medicine to treat children’s growth disorders and adult growth hormone deficiency. In the United States, it is only available legally from pharmacies, by prescription from a doctor. 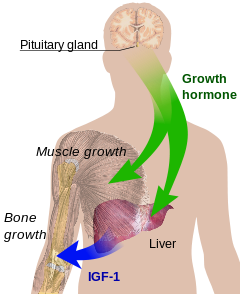 In recent years in the United States, some doctors have started to prescribe growth hormone in GH-deficient older patients (but not on healthy people) to increase vitality. While legal, the efficacy and safety of this use for HGH has not been tested in a clinical trial. At this time, HGH is still considered a very complex hormone, and many of its functions are still unknown.